DAY OF REFLECTION exploring the theme The Gospel of the Family - Joy for the World, hosted by American Catholic evangelist, author and biblical scholar, Jeff Cavins, on Saturday 21 April 2018, in Our Lady & St Patrick's College, 120 Gilnahirk Road, Knock, Belfast BT5 7DL. Starting time 10.30am, doors open at 9.30am. Opening Prayer will be led by the internationally renowned The Priests. Jeff Cavins will then lead participants in journeying with the Scriptures, reflecting on God's plan for each of our families and our parish families. There will be facilitated workshops, looking at how we share our faith with our family members and how to bring Scripture alive for children. There will also be Question and Answer sessions. The Day will finish around 4.00pm. 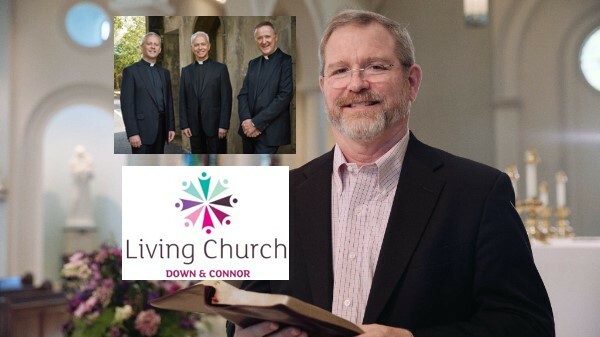 Please see full details on www.livingchurchevents.com or telephone 028 9069 0920. 'Group' bookings can be made at an enhanced rate. This Day may be of particular interest to members of the Parish Pastoral Council and anyone interested in leading or promoting faith-development in the parish.